After years of struggle for their rights over the grassland under the Schedule Tribe and Other Forest Dwellers (Recognition of Forest Rights) Act (FRA), 2006, the maldhari pastoral community in the Banni Grassland of Kutch is now staring at an uncertain future as Gujarat government has gone back on its commitment towards granting community forest rights (CFR) titles to them. Through a notification dated September 27, the revenue department has asked for surveying the land, identifying revenue land and giving the rest to the forest department. This is despite the fact that in 2015, 47 CFR titles, covering the entire area of the grassland (2,500 square kilometres), had been granted to 47 villages in the area. Now, if the process of survey is done again under the Indian Forest Act, 1927, then the CFR rights given under FRA will not hold, experts say. “If this happens, then it will take the entire process back to 2012, when the CFR claims were filed. We had asked the government to give the land to the maldhari community, who have traditionally owned the land. 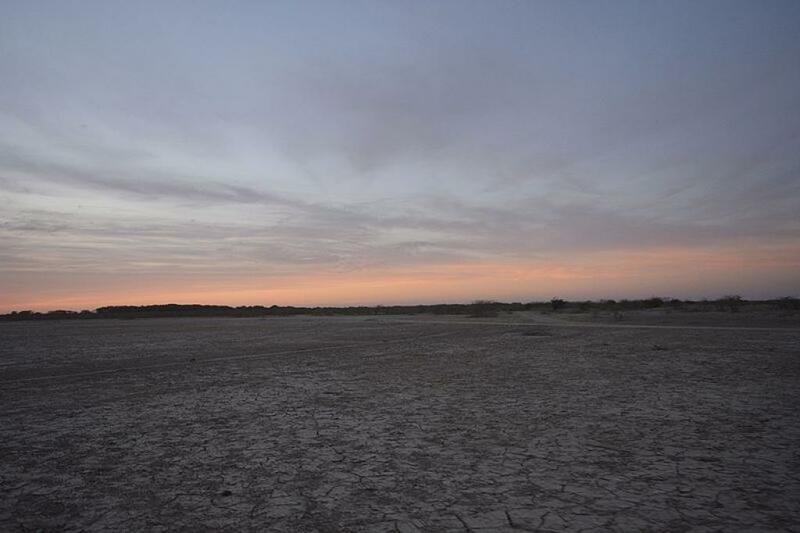 We had also asked them to survey the homestead land and settle the rights with the people; but instead of doing that, they have come out with this notification,” says Pankaj Joshi of Sahjeevan, a Bhuj based non-profit working with the maldhari community. “In a written correspondence between the district collector and the then Chief Minister, Anandiben Patel, appraising the status of the Banni Grassland, the collector had said that 47 titles were cleared. However, we never got the land title,” says Isha Meran Mutva, a resident of Gorewali village in the Banni grassland and a member of the Banni Breeder Association, an organisation of pastoralists in the area. He adds that when the community went to meet the the CM again in 2017, inquiring about the titles, they were told that a committee—which includes the CM herself, forest department and the revenue department—has been formed and it will clear the titles soon. “But now they have sent this letter. What happened to our titles?” Mutva asks. The history of people claiming traditional rights over these lands goes all the way back to the 18th century. Banni was declared protected forest, but due to the absence of settlement process, forest department could not take complete possession of the area. Some plotting done by forest department. 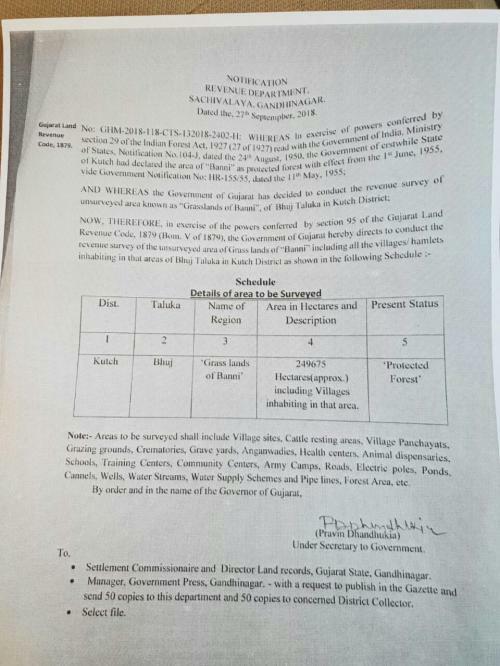 Gujarat government gave the possession of the grassland to the forest department, but again as the survey settlement process was not complete, the possession could not be taken. Based on satellite survey, the forest department created a working plan. Implementation of the working plan started. This was followed by protest by the local communities. The working plan was finally implemented. Duration of the working plan ended and the forest department sought its extension as the work wasn't completed. A letter asking for the survey of the land was sent. “We have been asking for rights under the FRA, 2006, but this notification doesn't even mention the act. This is taking the entire struggle back by years,” concludes Pankaj Joshi.